Trans fats are used in processing food and in restaurants, usually to improve texture, shelf life or flavor. WASHINGTON — Popular foods like pie crusts, frostings, and microwave popcorn will be largely rid of artery-clogging trans fats after a decision by the Obama administration to phase them out over the next three years. 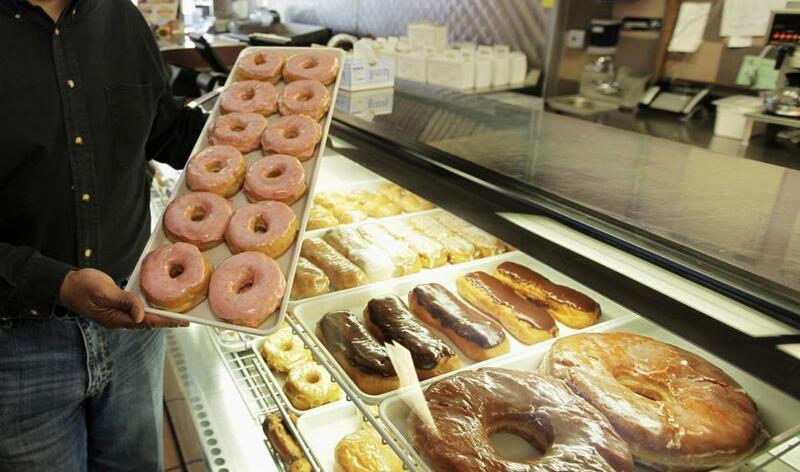 The Food and Drug Administration on Tuesday ordered food companies to eliminate artificial trans fats, calling them a threat to public health. Consumers aren’t likely to notice much of a difference in their favorite foods, but the administration says the move will reduce coronary heart disease and prevent thousands of fatal heart attacks every year. Scientists say there are no health benefits to the fats, which are used in processing food and in restaurants, usually to improve texture, shelf life, or flavor. They can raise levels of so-called “bad” cholesterol and lower “good” cholesterol, increasing the risk of heart disease, the leading cause of death in the United States. Once a staple of the American diet — think shortening and microwave popcorn — most artificial trans fats are already gone. The FDA says that between 2003 and 2012, people ate about 78 percent less trans fat as food companies began using other kinds of oils to replace them. But some foods still have them. Among the foods that commonly contain trans fats: biscuits, coffee creamers, frozen pizza, refrigerated dough, vegetable shortenings, and stick margarines. To phase the fats out, the FDA made a preliminary determination in 2013 that partially hydrogenated oils no longer fall in the agency’s “generally recognized as safe” category, which covers thousands of additives that manufacturers can use in foods without FDA review. The agency made that decision final Tuesday, giving food companies until June 2018 to phase them out. Any company that wants to use them will have to petition the agency to allow it, but not many uses are likely to be deemed as safe. Still, food companies are hoping for some exceptions. The Grocery Manufacturers Association, the main trade group for the food industry, is working with companies on a petition that would formally ask the FDA if it can say there is a “reasonable certainty of no harm” from some specific uses of the fats. It provided no specifics. Trans fats are widely considered the worst kind of fats for your heart, even worse than saturated fats. The industry’s reduction in trans fats was helped along by the FDA’s decision to force labeling of trans fats on food packages in 2006. But foods that list trans fat content as zero can still have very small amounts, because companies are allowed to round less than half of a gram of trans fat to zero on the package label. For now, the agency is recommending that consumers take a look at ingredient lists on packaged foods to make sure they don’t contain partially hydrogenated oils. Also contributing to the decline over the years are local laws that restrict them in restaurants, such as those in New York City and California. Large retailers like Walmart have reduced the amount they sell. The FDA has not targeted small amounts of trans fats that occur naturally in some meat and dairy products, because they would be too difficult to remove and aren’t considered a major public health threat.